GET UPDATES OF NEW LISTINGS ON THE MARKET. Sign up for free so you can save searches and get notified of new listings that come onto the market matching your search criteria! Save your favorite listings! I just helped my clients get a great deal on their home in Marin before the end of the year, by gaining leverage during the negotiations. 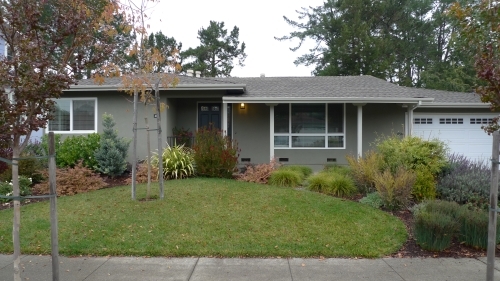 Needless to say, they had a happy new year and are enjoying 226 Orange Blossom Lane, San Rafael, which closed at $840,000. Completely remodeled, this 3 bedroom / 3 bathroom, single-level home in the desirable Dixie School District, is conveniently located to shopping at the newly-renovated Northgate Mall, as well as transportation. It has an amazing chef's kitchen with limestone floor, granite countertops, a center island with salad sink, top-of-the-line GE Monogram appliances, gas cook-top and double oven. The master suite has a private bath and designer walk-in closet. Because there is a large formal dining room, separate living room and family room with views of the flat, landscaped yard, it's perfect for entertaining. The house also has a separate office and a laundry room, complete with a new high-end washer and dryer. Jonathan B. Jacobs is a realtor who works with luxury home buyers and sellers as well as first-time home buyers and sellers. For advice on buying or selling your home in Marin, a free market analysis complete with comps, or to go see any of the listings found on this website, contact Jonathan B. Jacobs 415-264-6655.